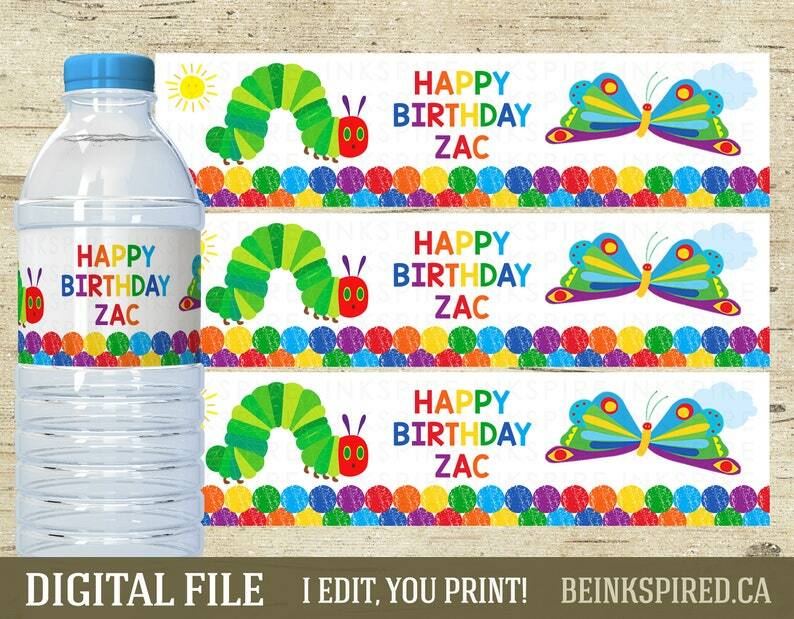 These printable water bottle labels are perfect for your child's VERY HUNGRY CATERPILLAR party! I edit the design with your child's name and e-mail you a high-resolution PDF file that you can print at home or at your local print shop. Simply print and glue to your bottles! ► Step 4: Your files will be sent to you within 1 BUSINESS DAY of receiving BOTH your order and your child's information.